Big-serving American pair Reilly Opelka and John Isner broke an ATP Tour record during their New York Open semi-final clash. Opelka and top seed Isner combined for 81 aces – a record in a three-set match – as the former prevailed 6-7 (8-10) 7-6 (16-14) 7-6 (7-4). 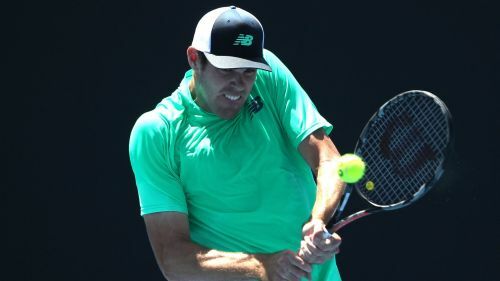 On Saturday, Opelka fired down 43 and Isner posted 38 of his own to surpass the previous record of 71 set by Nick Kyrgios and Ryan Harrison in January. Opelka upset Isner in three sets – all tie-breaks – at the Australian Open last month and the 21-year-old was at it again in the Big Apple on Saturday. After saving six match points in a marathon second set, Opelka moved a step closer to his maiden ATP title following the two hour, 31-minute contest. Standing in Opelka's way is high-flying Canadian qualifier Brayden Schnur, who stunned sixth seed Sam Querrey 7-6 (9-7) 4-6 6-3. Schnur had never won an ATP Tour main draw match prior to the New York Open this week but the 23-year-old is enjoying a dream run. "It's an extremely big moment for me. These last few days have been unbelievable," said Schnur, who fended off five set points in the opening set. "I was one of the last guys to get into qualifying and my coach said to just see what happens. I think I've turned a lot of heads this week and am on the come-up."